California is the leading producer of fresh citrus in the country. California’s citrus farmers grow nearly 77% of the country’s fresh market citrus. (Florida’s citrus primarily goes to making orange juice!) 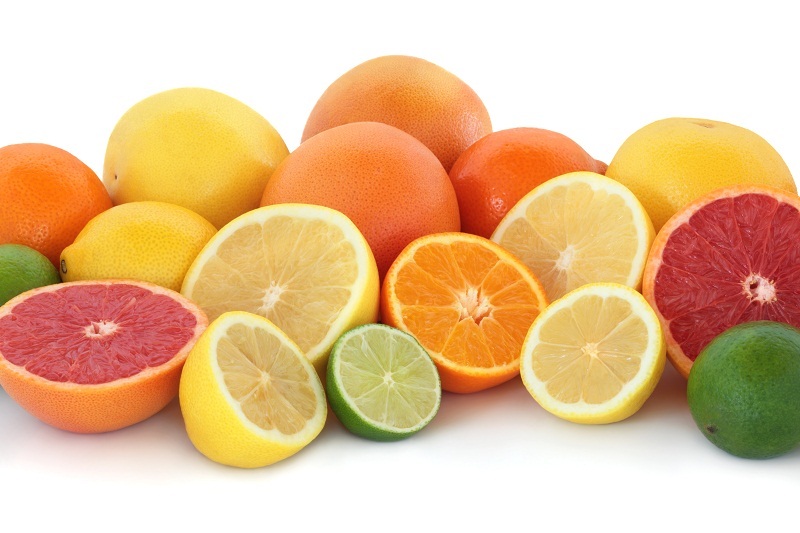 Oranges, lemons, grapefruit and tangerines are all grown in California- some varieties of lemons, like the Eureka, are produced 12 months a year by California’s farmers. Growing a new citrus tree is complex! Citrus is typically grown by grafting two different varieties together. The top of the tree, depending on the type of fruit wanted, is paired with a different root variety, which is chosen for it’s resistance to disease, or other growth benefits. California's citrus growers produce fresh food with water efficiency in mind. Learn more about how California's farmers manage water. 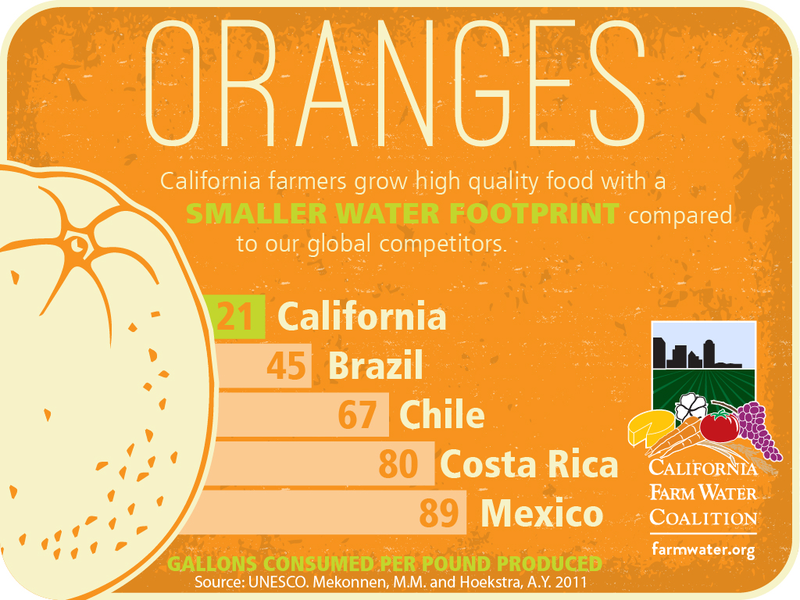 Did you know that California-grown oranges have a much smaller water footprint than many of our global competitors? Learn more about farm water footprints.